These silky smooth crepes with hints of lemon are by far the best I’ve eaten. 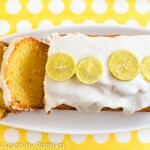 They’re perfectly paired with a sweet and tangy lemon glaze to makes every flavor pop. 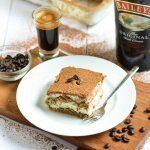 This recipe is a “must try”..even for beginners! Crepes are probably the simplest dessert there is. If you know the basic recipe, you can do a variety of things to them..They’re so versatile and taste great no matter what the topping is. 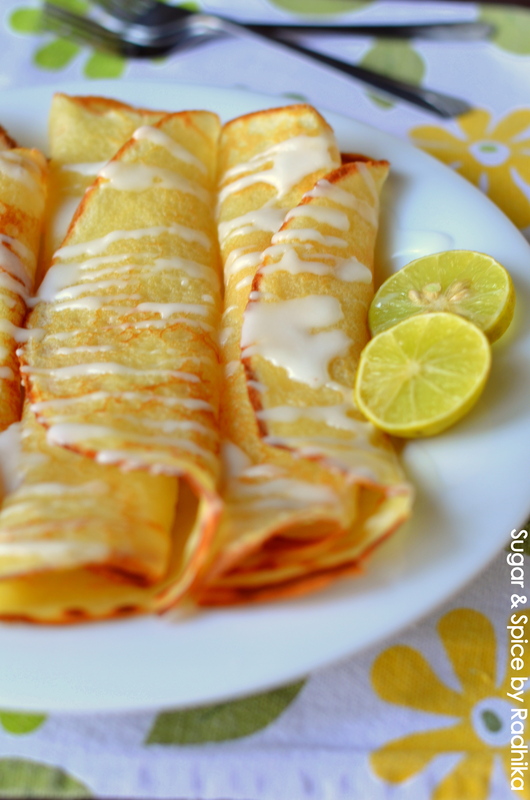 I loved the Nutella and Banana Crepes I made a little while back but these tangy lemon crepes easily top my list. 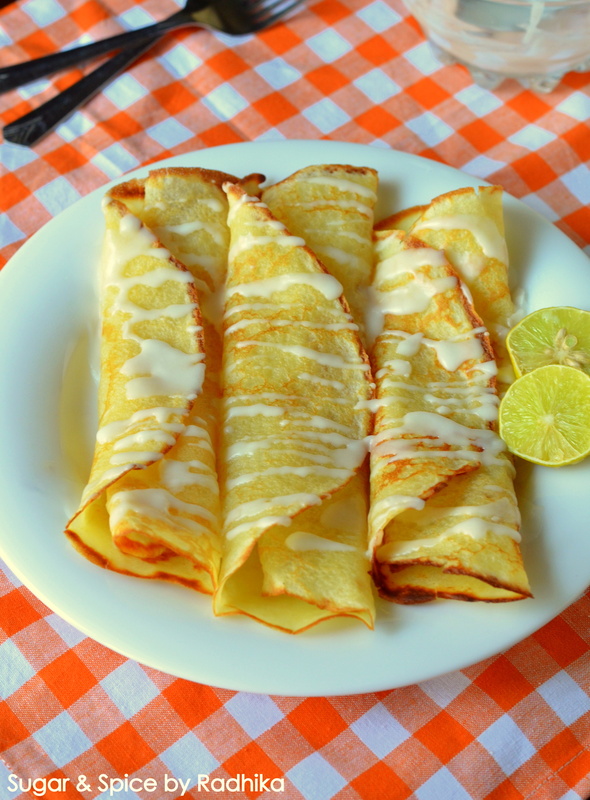 If you’ve been reading my blog regularly you probably would’ve figured out by now that I’m in love with anything lemony so you can imagine my level of excitement when this experiment turned out to be a success and my crepes tasted like heaven. They are just what you want for breakfast, for a quick snack or for dessert, I could munch on them the whole day and not get bored of these, honestly. 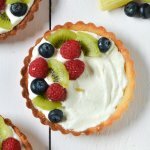 They’re also super easy to make, so if you’re an amatuer this recipe is for you. No baking, no complex techniques and no fancy ingredients. Just plain cooking. And you’ll have your crepes ready in no time. So get your equipments ready and read on! Do not forget to write back to me if you try these out, I’d love to hear your reviews, good or bad! Mix all the ingredients listed under “for the crepes” except the flour. Whisk it until everything is properly combined for about 2-3 minutes and then add in the flour. Make sure you whisk it well so that no lumps or flour pockets are formed. Set this batter in the refrigerator for 30 minutes. Prepare your glaze while the batter is resting. 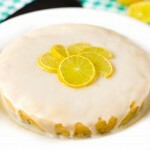 In a bowl, mix together icing sugar and lemon juice until its nice and thick. The mixture doesn’t have to be too runny. 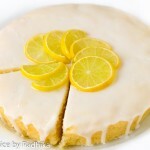 If it appears runny, add more icing sugar; if it appears thick, add in more lemon juice. Taste and see whatever you prefer and adjust your glaze according to that. Keep your glaze aside when ready. Brush a pan lightly with butter and heat it on medium flame. Once the pan is medium hot, pour 1/4 cup of batter on it and immediately start spreading the batter by twisting the pan in circular motions. You have to do this very very quickly otherwise the batter will start to cook and won’t spread. Make sure the crepes are thin so spread as much as you can. After a little while you will start to notice little bubbles on top of the crepe, flip it once the bottom side is light brown in color and cook the other side until it has evenly browned too. You’ll need about 1 minute on the first side and about 30 seconds on the other one. Once done, take the crepe off the heat and roll quickly. Repeat with the rest of the batter, you should have about 5 medium sized crepes. 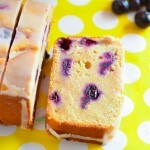 The recipe can be easily doubled if you want more. 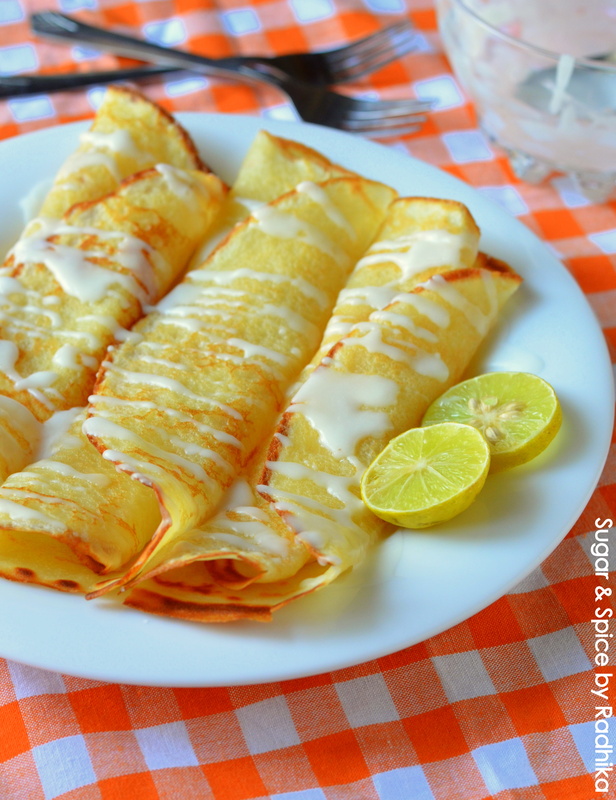 Line the crepes on a plate, generously drizzle the lemon glaze on them and enjoy! Like crepes? Try my Nutella and Banana Crepes. 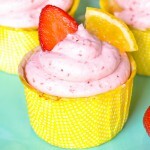 Or try these if you love lemons as much as I do.. Absolutely beautiful!!! I can see them with strawberries or blueberries as well!!! Thank you Joanna! 🙂 they were really nice, why don’t you try these out! I’m sure you’ll love them. 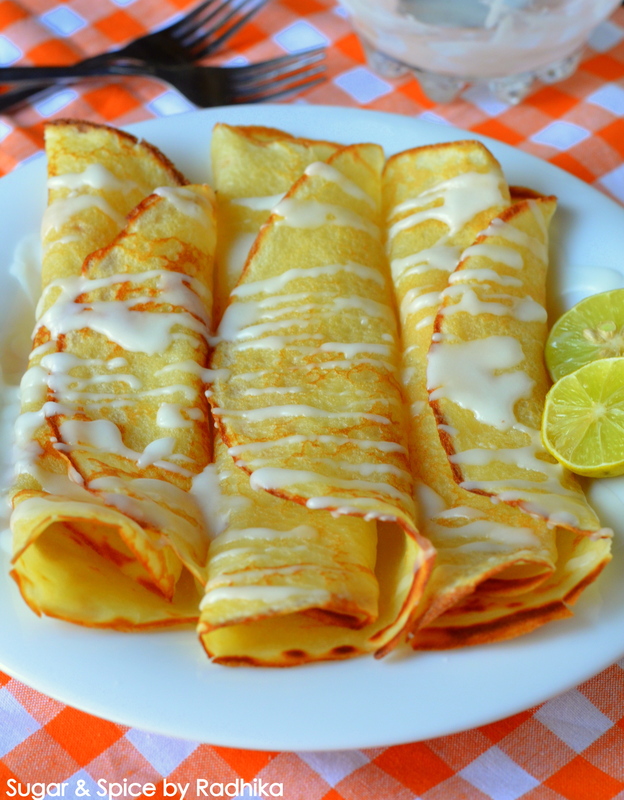 I adore crepes and your lemon ones look amazing!!!!! Thank you so much Kloe! Great to hear from you after so long! How hve you been? Pretty good! Did you hear we are moving out of state? It is difficult with all of us, but exciting too. We are moving south so it will be a new culture. How is it going for you? Anything new and exciting?